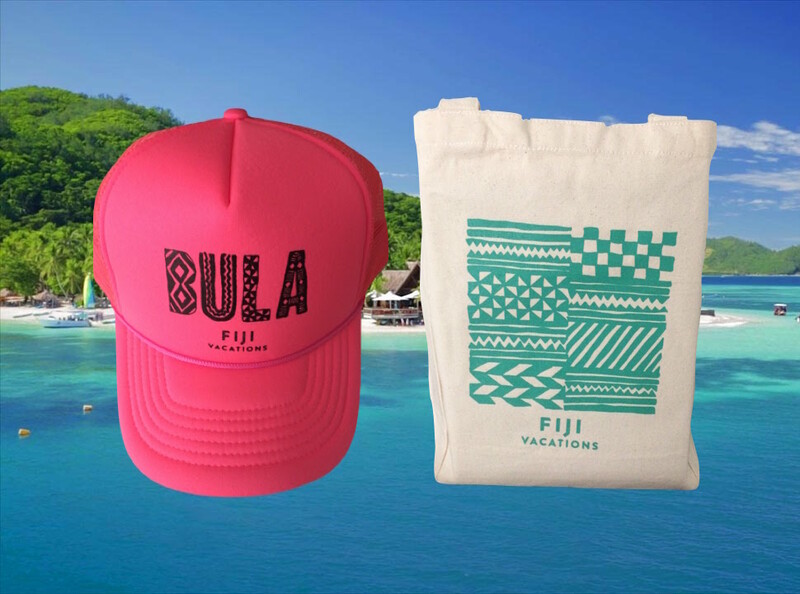 Fiji Vacations was looking for a tote bag and a hat to use as client gifts. They wanted these items to be functional, and also fit the fun beach theme of their vacation business. We came up with this bright pink mega cap and teal and white canvas tote bag. Fiji Vacations was very pleased with the outcome of both products!